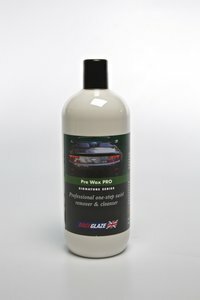 Based on the highly regarded non-abrasive pink pre-wax cleanser, but with added heavy grade diminishing abrasives for successful removal of heavy swirls and scratches on older, abused or oxidised paint of all types, and for serious paint correction. Recommended best applied by DA by professionals or experienced enthusiasts. Regarded as providing similar cut to Menzerna 203S. "Fast and efficient, excellent thanks"